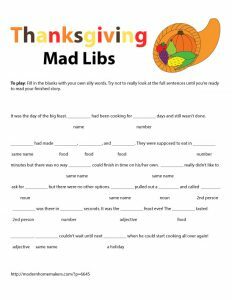 Thanksgiving is a cherished occasion for all, with all delicious foods on the table and coming together of friends and families, life seems blissful. 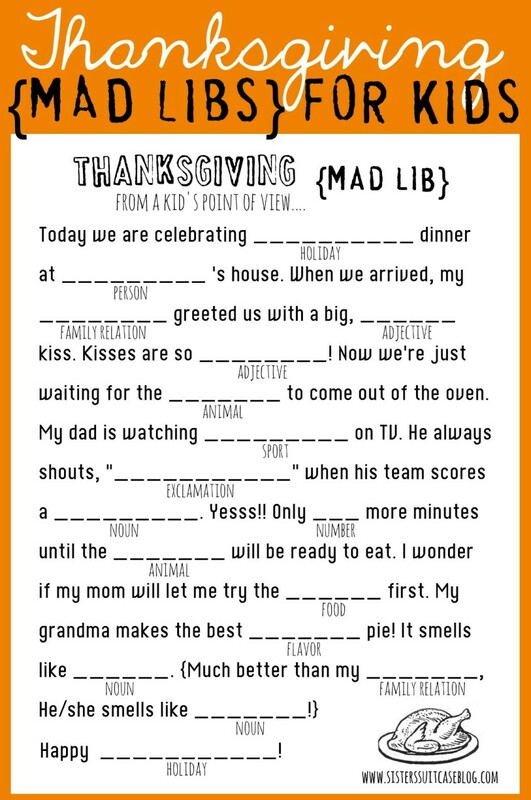 To enjoy the day more, make it an eventful one by passing on some Mad Libs to your guests. 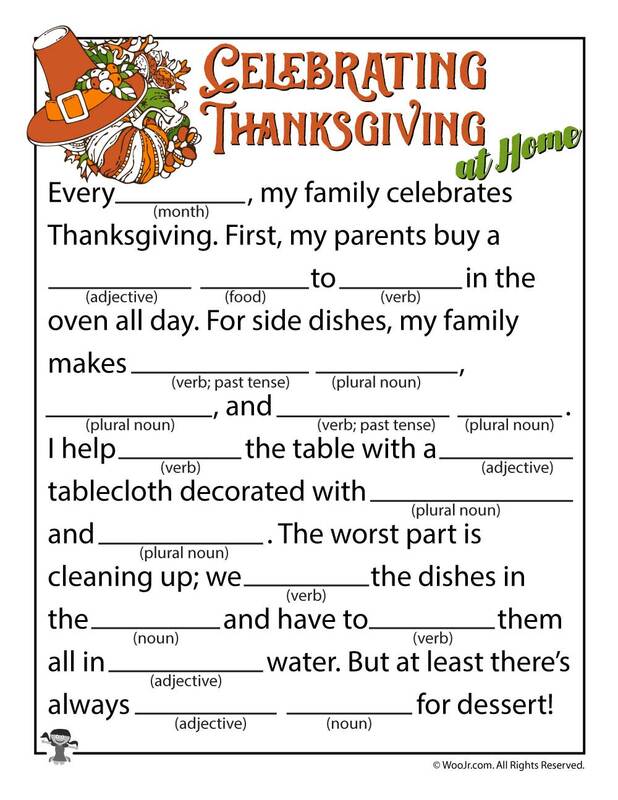 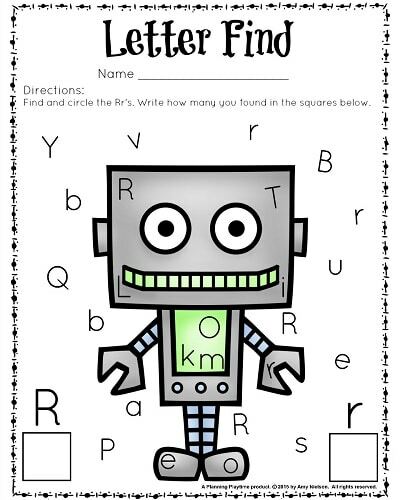 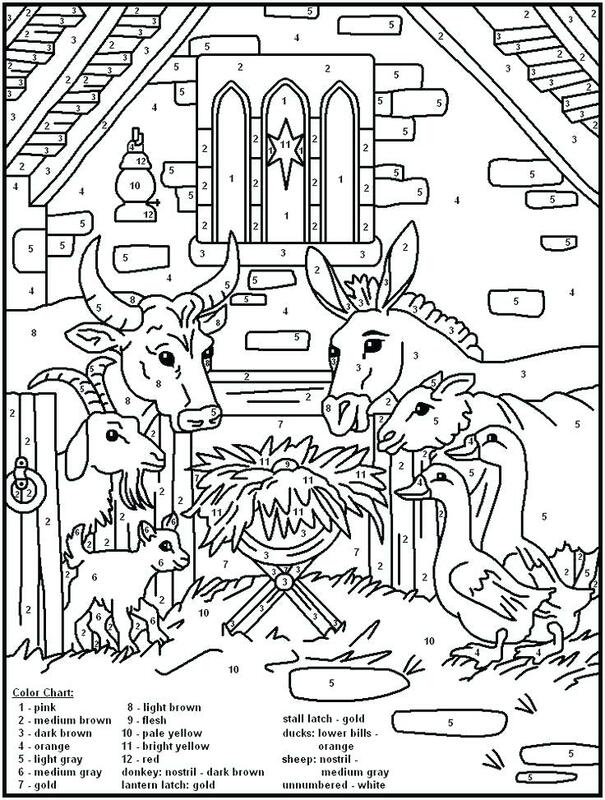 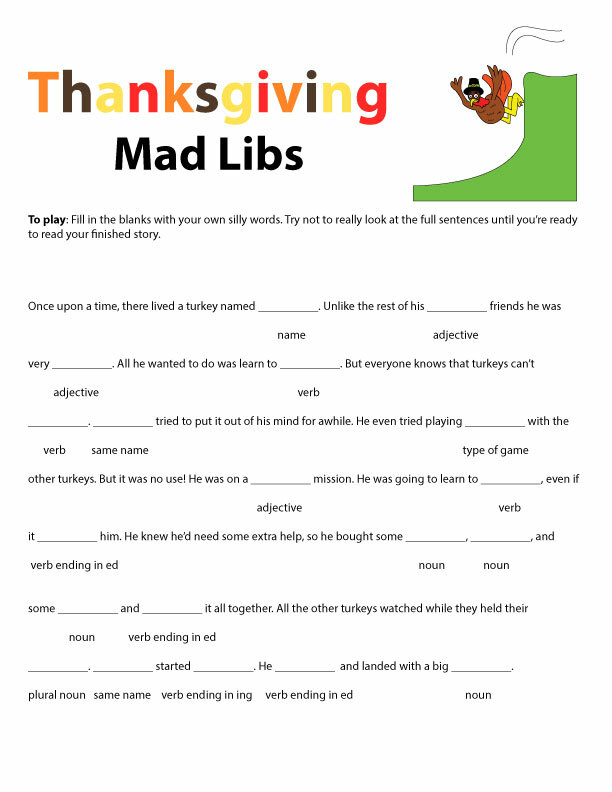 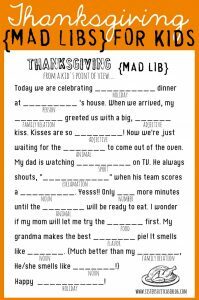 In the following list, there are some printables regarding the Thanksgiving Mad Libs. 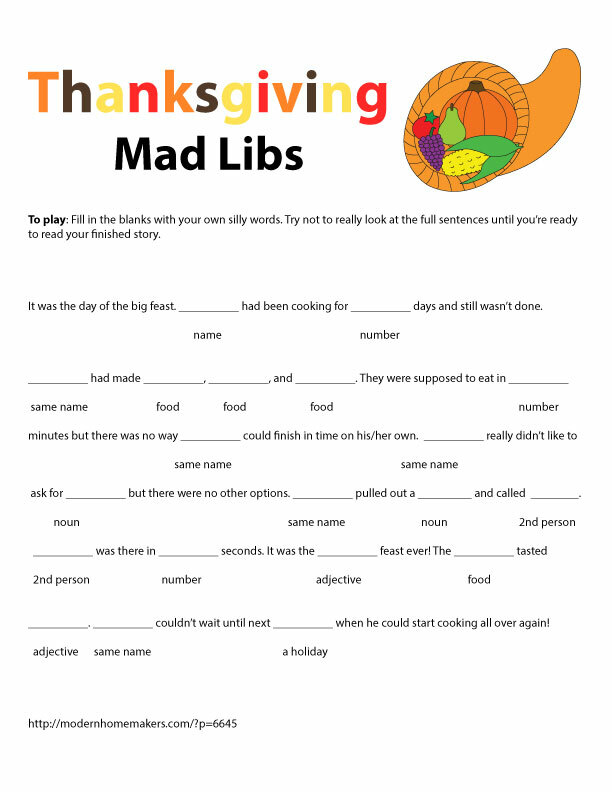 You can set a time limit for all and give the biggest chunk of turkey for the winner to extend the fun. 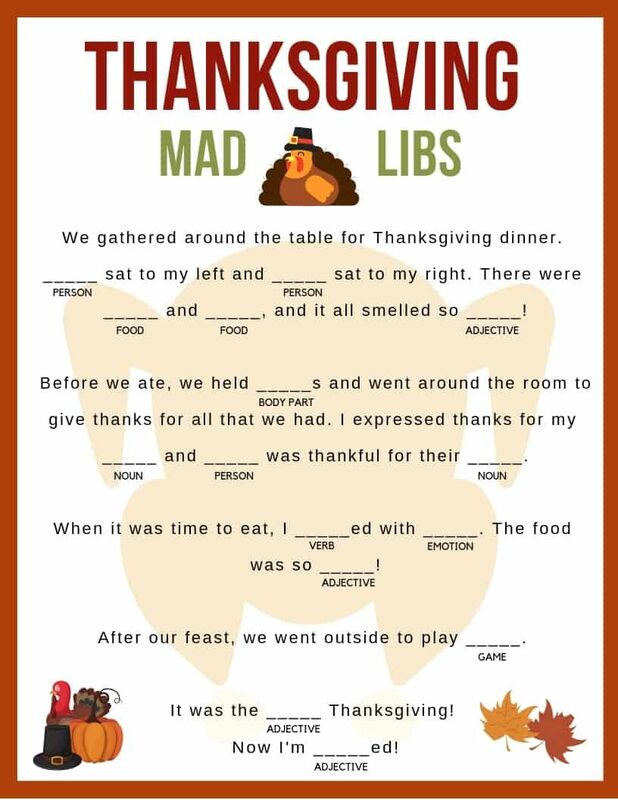 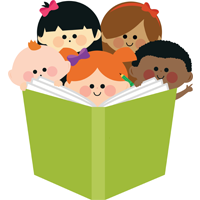 Some of the Mad Libs here create a story while others are some kind of confession for kids in terms of what are they thankful for. 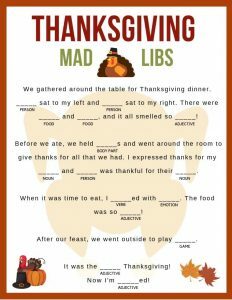 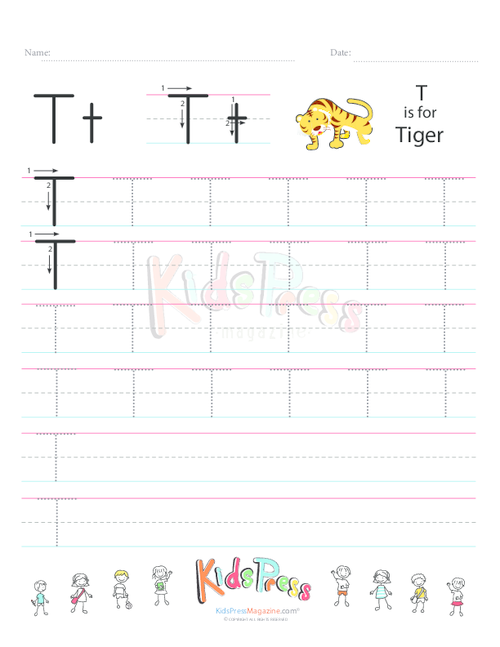 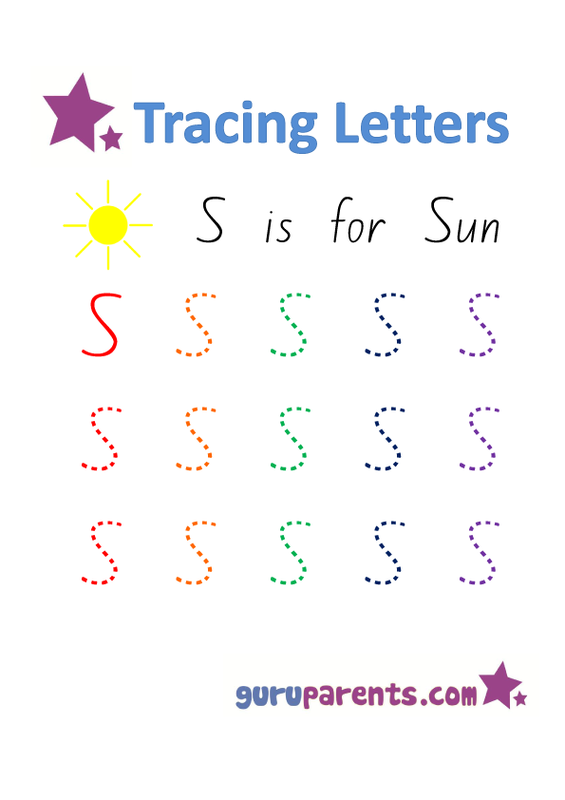 This constructive game helps kids learn and practice grammar as the suggestions here are made with parts of speech. 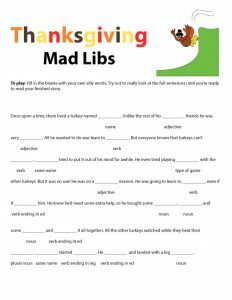 All the Mad Libs are colorful and eye-catchy besides being interesting. 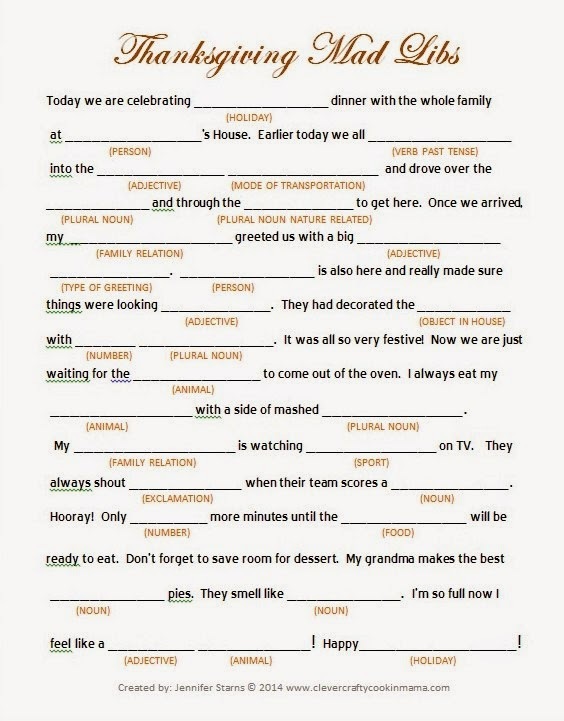 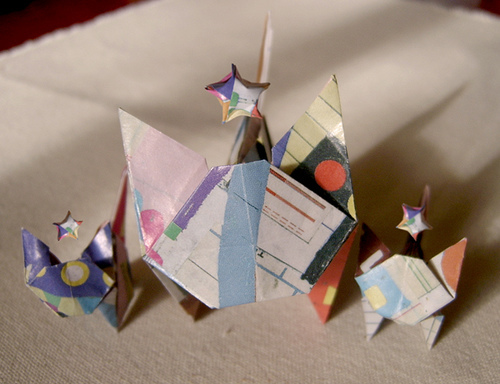 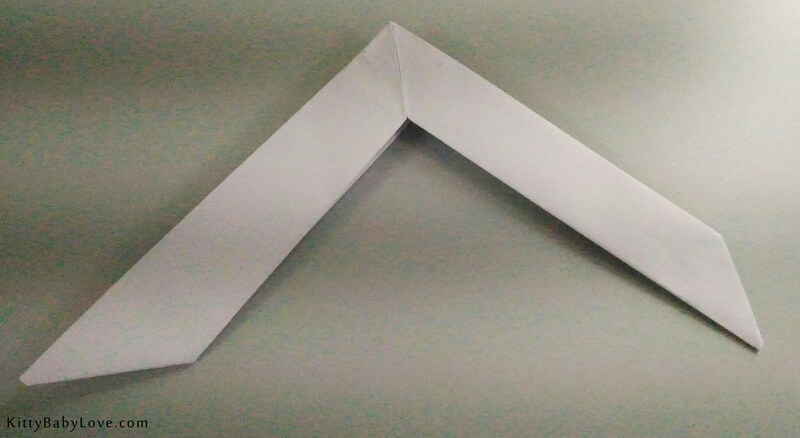 Those who are keen on wordplays and look for something exciting, these could be your way of catering to their needs.